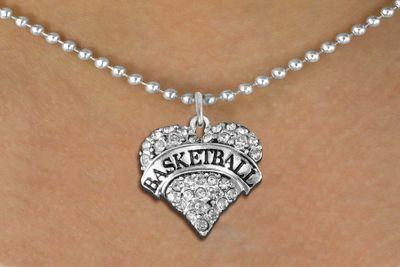 PICTURED ABOVE "BALL CHAIN NECKLACE"
Lead, Nickel & Cadmium Free! 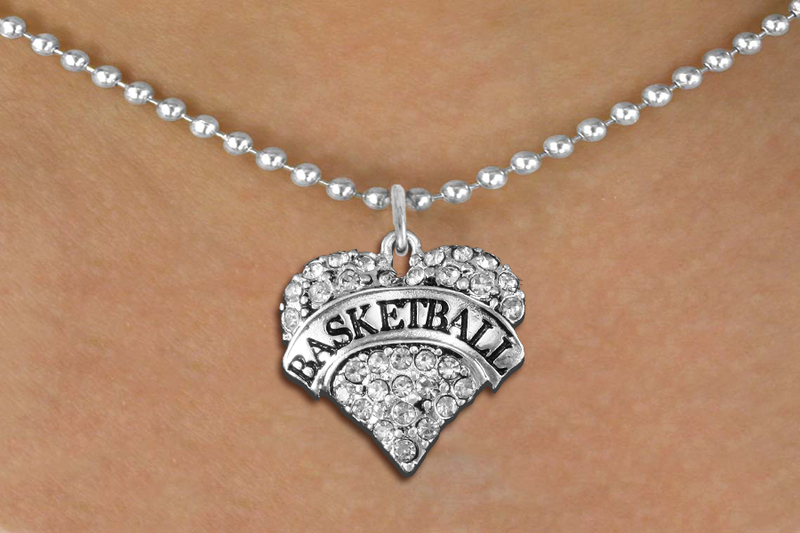 Necklace Suspends A Detailed Antiqued Silver Tone "Basketball" Crystal Heart Charm, That Is Covered In Faceted Clear Crystals With Black Accents On A Ball Chain. If you wish to purchase an amount different than the quantities shown, write us a note in the SUGGESTION BOX when you check out. The box appears after you put in your credit card or paypal information in. Or You May Change In The "CART" The Quantities In The "QTY" Box, Then Click On The "UPDATE" Box Above Subtotal, For Your New Total.